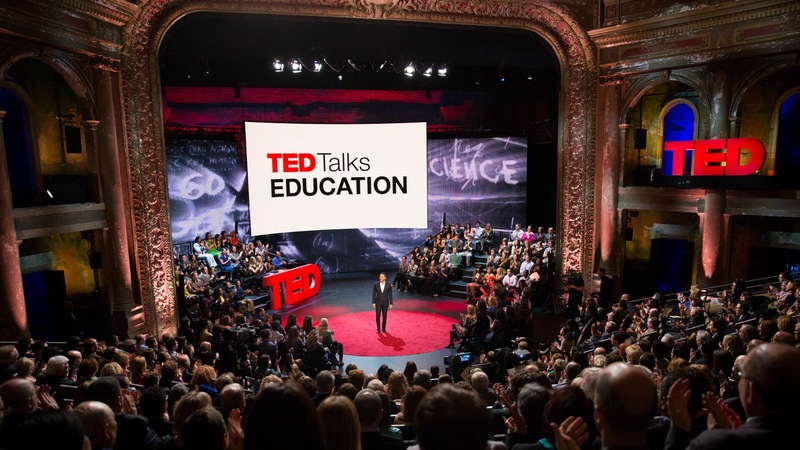 Four Amazing Ideas from TED talks on Education. | Jorge Sette "Linguagem"
← Let’s corrupt the youth! Four Amazing Ideas from TED talks on Education. If you are a regular reader of this blog you probably love the TED talks as much as I do. I make a point of watching at least one a day. There is always something to learn from them. Even if you don’t find the content that interesting, you can always profit from the speakers’s way of getting her points across, and copy some of the techniques to hone your own presentation skills. This weekend I needed a break from binge watching Netflix’s THE KILLING – which I did last weekend – and, as consequence, must have put on a couple of kilos, having raised my consumption level of popcorn and ice-cream considerably, while following detective Linden (Mireille Enos) drive relentlessly in the rain along the streets of Seattle. So I chose, instead, to raise my usual share of TEDs’ intake, which was very sensible of me, since they feed the mind and soul rather than the body: I usually take notes while watching them, which stops me from grabbing the popcorn or digging into the ice-cream. This is a list of 5 interesting takeaways I collected from some talks I’ve recently watched. They are all on education. The summaries are not quotes but my own interpretation and wording of the ideas. I strongly recommend you watch the clips as a way to contextualize my comments better. 1. From “A 30-year History of the Future” (by MIT Media Lab founder Nicholas Negromonte). In 30 year’s time you will be learning English by taking a pill. It will travel though your blood stream and reach you brain, formatting your neural connections accordingly. Well, based on Negromonte’s strong track record of predictions that were eventually realized, I would not discard the possibility. 2. From “Let’s Teach Kids to Code” (by Mitch Resnick, Director of the Lifelong Kindergarten group at MIT Media Lab). There’s not much difference between the so-called digital natives and the rest of us. They are very fluent in gaming and using apps, but not in creating them. Their attitude to technology is overall very passive. They need to learn how to code to really be able to fully express themselves through technology and make use of all that is available. He compares technology to a natural foreign language: kids at this point are fluent at reading it but not at writing. He proposes we start teaching kids to code immediately to make a difference. Besides, coding will teach them not only this new “language” but a whole lot of content that can be expressed through it: just like the Content and Language Integrate Learning (CLIL) approach some of us use to teach English. According to the speaker, learning is not education. The former is discovering things for yourself actively, the latter is about passing on knowledge to someone else who’s passively at the receiving end of the channel. Learning is what really matters today, if you want to become an innovator. To engage in learning you have to be connected, pro-active and very rooted in the moment (a now-ist). You must be alert and strive to be aware of everything that is going on around you. It’s necessary to seek collaboration from peers online, developing skills on how to get useful people together on your network to make your ideas happen as soon as possible. Not much planning is required to put out your innovative ideas. Don’t waste time overthinking what the outcome will be like. Adjust and learn as you move along. “Demo or die” (quote from Nicholas Negroponte he uses in his talk): ship your concept as fast as you can. 4. From “How the worst moments of our lives make us who we are” (by writer Andrew Solomon). This is about education in its broader sense. The speaker, in a beautiful and moving talk, much in the vein of Oscar Wilde’s De Profundis and Philip Roth’s Nemesis, claims that the key to happiness is to “forge meaning and build an identity” for yoursef out of the worst adversities that may have struck you in life: be it imprisonment and ostracism in the case of Wilde at the end of the 19th century; contamination by polio in the early 1940s for the characters of Nemesis; or, as in Solomon’s personal account, exposure to cruel bullying at school and prejudice at large in today’s American society for being a homosexual. Meaning is not out there to be found, it’s a narrative you have to build from within and then invite others into. Just like Wilde and Roth, Solomon proposes you take full ownership and responsibility for your failures and falls and, maybe through love and art, re-create yourself to grow and be complete. Don’t miss this one! I guess this is it for now. Enjoy you TED talks and please suggest some as you rate and comment on this post. This entry was tagged edtech, education, joi ito, Mireille Enos, MIT Lab, MIT Media Lab, mitch resnick, nicholas negromonte, solomon, TED talks. Bookmark the permalink.